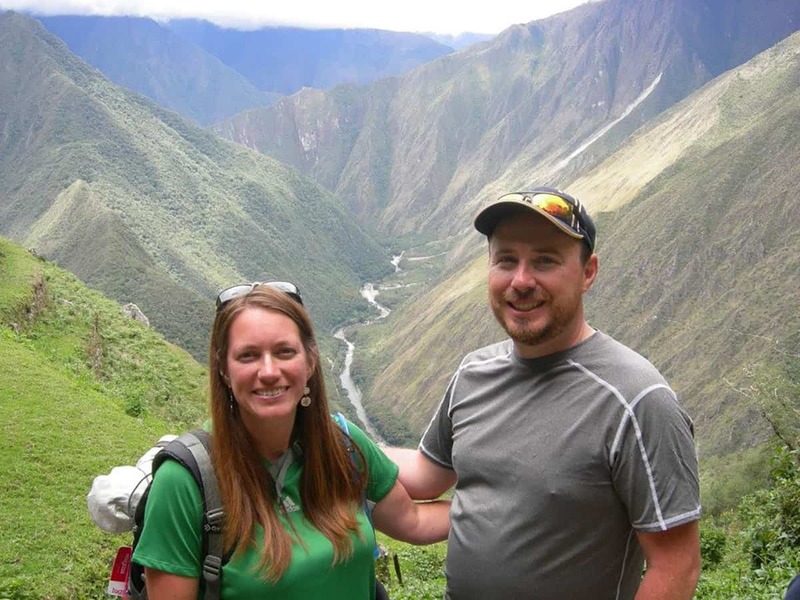 The LeVans hiking the Incan Trail. 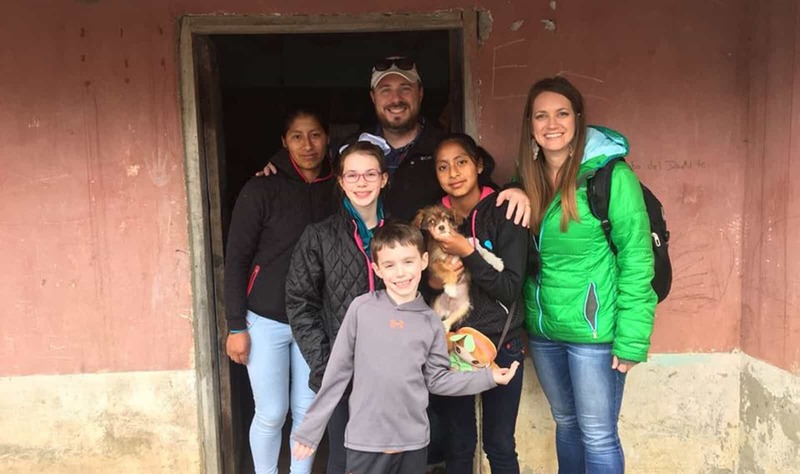 As Jeremy LeVan hiked the scenic Peruvian trail, he reflected on his recent visit to a Compassion child development center at a local church in Lima. He had been inspired by the church’s ministry to at-risk mothers and babies living in extreme poverty through Compassion Survival. What if he could rally his church to help mothers and babies by funding Compassion Survival at one church in an impoverished community? Jeremy was eager to return to Epic Church so he could share his experience with his church family and invite them into the journey. It didn’t take long for Jeremy’s passion to ignite compassion within his congregation. Before long, the church was fundraising for Compassion Survival at Nazarene Church in Chillanes, Ecuador. This support would help that community’s mothers and babies receive critical care for their minds, bodies, hearts and souls. In addition, Epic Church members began sponsoring children at Nazarene Church’s Star of the Morning Student Center. 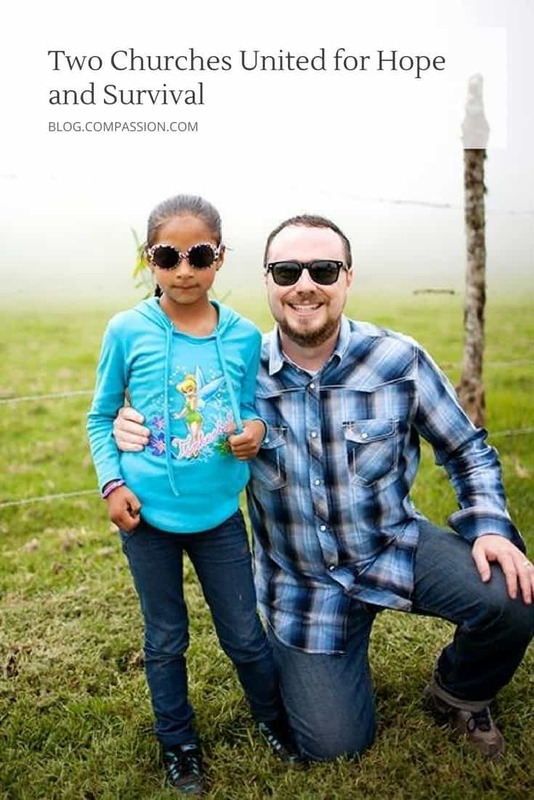 Jeremy and his own family decided to sponsor a sweet 6-year-old girl named Dayana. 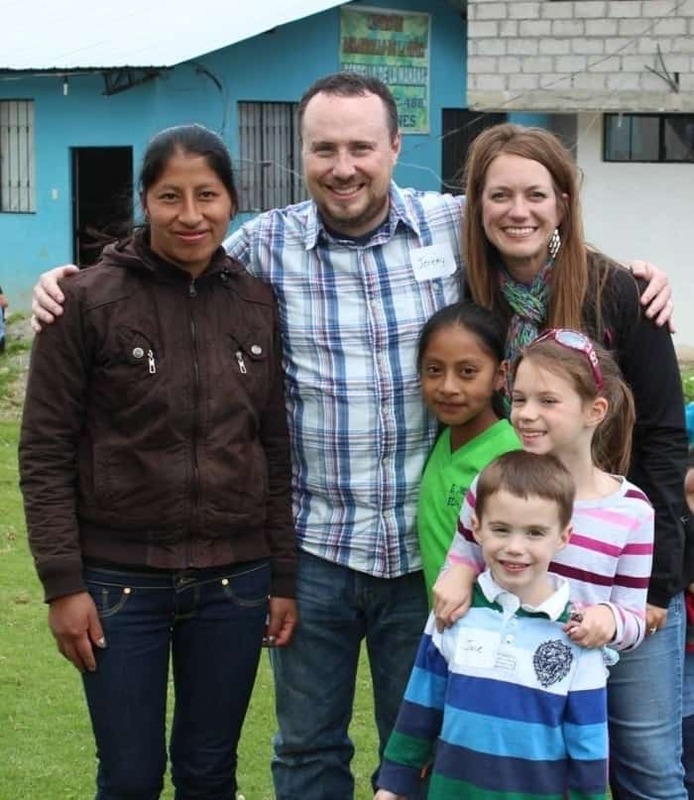 Shortly after becoming her sponsor, Jeremy was able to meet Dayana while he visited the church and center staff. A deep connection was beginning to form. Jeremy meets Dayana for the first time. Jeremy’s passion for helping children became contagious. In only 2 1/2 months, the small Indiana church of 300 raised $25,000 for Survival. And in the first year, they sponsored more than 100 children at the development center! It was no longer just Jeremy’s passion, it was their passion. Partnering with Nazarene empowered Epic Church to minister to at-risk babies and mothers on a larger scale. It provided the necessary care to help them reach their first birthday and beyond. 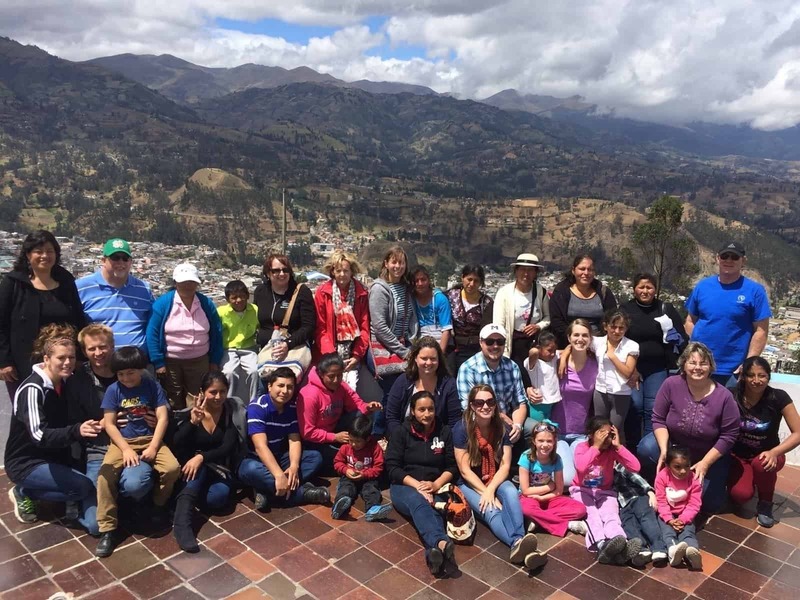 Groups from the church began to take trips to visit, learn and minister in Chillanes. 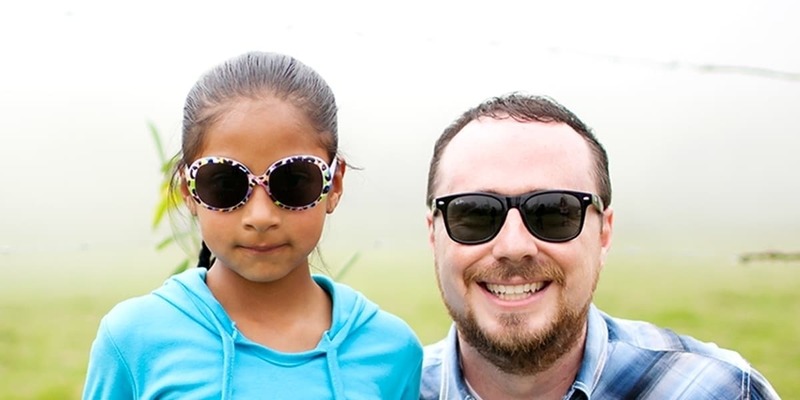 On a few occasions, Jeremy was able to bring his wife and two kids along to connect with Dayana and her family. Through these experiences and consistent letter-writing, the two families formed a trusted bond. The LeVans visit Dayana and her mother together for the first time. On their second visit, Dayana’s mom began opening up to the LeVans. She told them of Dayana’s learning difficulties and how school had been very challenging for her. Jeremy could relate to these challenges because he had similar difficulties growing up. “I was able to just go there with her and share how you can give that over to God — entrust that to Him, and He’ll walk with you,” Jeremy reflects. Epic Church has seen God do so many amazing things through this partnership. When Jeremy first visited Nazarene Church, he learned a shocking statistic. Each year, about 400 children die from preventable diseases in their community. Jeremy had graduated from a high school that size. And picturing his entire high school passing away every year put that tragedy into perspective. Today, 400 children are enrolled at the center, and staff and resources are growing. 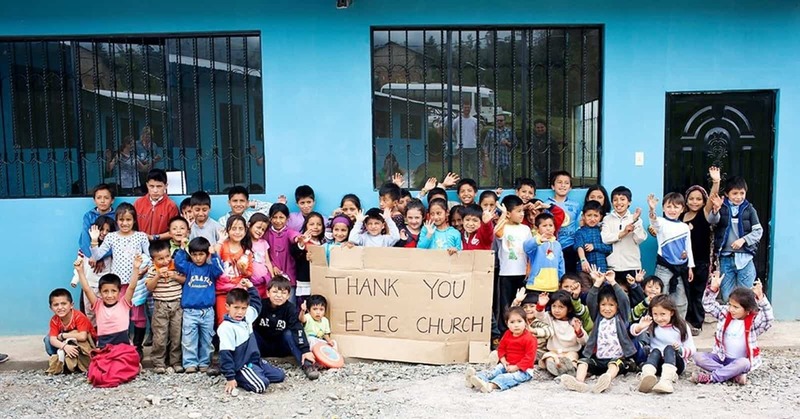 Children at Star of the Morning Student Center at Nazarene Church in Chillanes, Ecuador, thank Epic Church for their support. “We’re seeing progress numerically, spiritually, in the buildings, and in the infrastructure,” Jeremy says. The pastor of Nazarene Church, Italo Gonzalez, sees this impact firsthand. Moms registered in Survival not only receive life-giving care, they also receive biblical teaching and discipleship. One of these moms, Martha Beatriz Gavilanes Ocampo, loves this aspect of her care. Testimonials like these have turned Jeremy’s whole church community into a band of true child advocates. Members of Epic Church meet the children they sponsor. The passion for global outreach has permeated Epic Church. Families are now seeing firsthand the difference they can make for children in need. 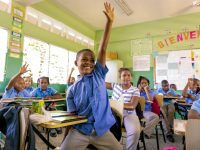 “It’s cool to listen to families in our church say, ‘Instead of our goal to go to Disney World, our goal is to save up enough money so that one day we can go visit our Compassion child,” Jeremy shares. Even the kids are getting behind the mission! Many of the children at the church are now partnered with a child at the Chillanes center. Many of them write letters, pray, and even give their own money to support their friends in South America. The LeVans visit Dayana and her mother together for the second time. Jeremy’s kids love hearing from Dayana, and they pray for her every day. During their last visit to Dayana’s, they had the opportunity to help Dayana and her mother both make decisions to make Jesus their Lord and Savior! This was a huge answer to prayer for their family. At school, his 11-year-old daughter, Caitlin, was asked if she had $100 what she would do with it, and she replied by saying she would sponsor a kid through Compassion! Helping children in poverty has truly become part of Epic Church’s DNA. 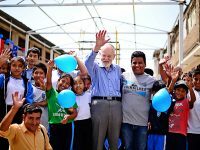 Some may have doubted the impact two small churches in Indiana and Chillanes, Ecuador, could make when united together. But one vision by one person, one family, or one church can eternally alter the futures of children in poverty! 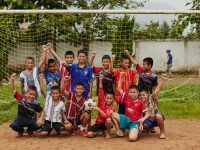 Do you want your church to begin releasing children from poverty? 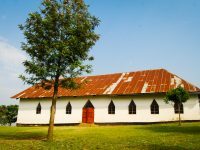 Or you can partner with a local church’s ministry to release children from poverty by creating your own campaign on ActForCompassion.com. Kathryn Goldsmith is a 2018 summer Marketing Communications Intern for the USA Supporter Mobilization team. A beautiful testimonial proving that we are all the same – citizens of God’s Kingdom. I’m really touched by how everyone’s lives is being changed, both the helped families and the helping ones.